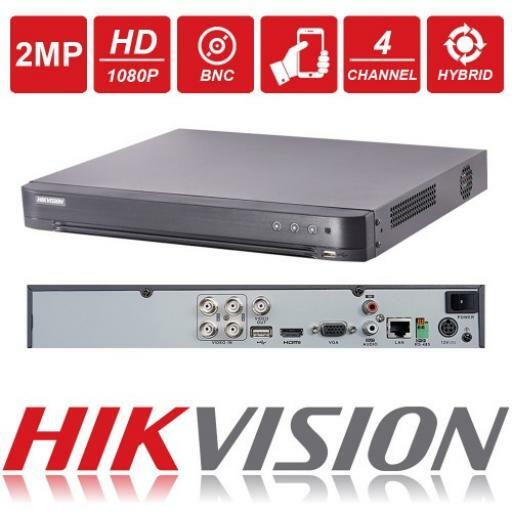 This HIKVISION recorder is the Fourth Generation TURBO 4 DVR. This DVR uses H.264 and Duel stream video compression and uses a BNC interface for camera input. The TURBO range of DVRs are able to support up to 3MP HD-TVI Input. This range of DVRs has both VGA and HDMI outputs with an output resolution of 1920 x 1080P and can record on the main stream 1080P in non real time and 720P resolution and below in real time. This DVR supports on HDD of up to 6TB. 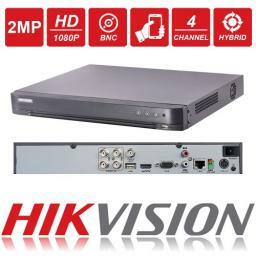 This DVR also has the additional benefit of supporting an additional 1x IP cameras of up to 4MP Resolution. 3 MP, 1080p30, 1080p25, 720p60, 720p50, 720p30, 720p25.